Hide this Project (Appaswamy Platina) Discover properties in other projects by hiding the ones that doesn't interest you. You won't see them in your searches further but you can unhide anytime later. 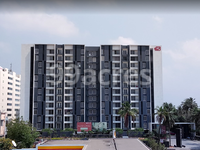 Appaswamy Platina in Porur, Chennai West by Appaswamy Real Estates Builders is a residential project. 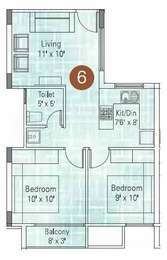 The size of the Apartment ranges in between 627.0 sq.ft. 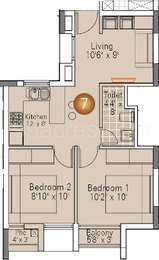 and 2152.0 sq.ft. Price starting from Rs. 1.45 Cr. Appaswamy Platina offers facilities such as Gymnasium and Lift. Bank loan approved from HDFC home loans, ICICI, State Bank of India, Corporation Bank, Citi Bank, Indian Bank, IDBI Bank Ltd., Syndicate Bank, AXIS Bank LTD. and LIC Housing Finance Ltd. It has 40% of open space. Appaswamy Platina has a total of 7 towers. The construction is of 12 floors. An accommodation of 369 units has been provided. Appaswamy Platina brochure is also available for easy reference. In which area is Appaswamy Platina located?The project is situated in Porur, Chennai West. 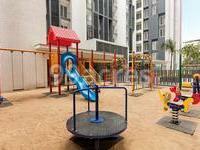 What is the area of apartments in Appaswamy Platina? The area of apartments offered in the project ranges from 627.0 sqft to 2152.0 sqft. What is total area of 2 bhk in Appaswamy Platina? The area of 2BHK units in the project varies from 627.0 sqft to 1273.0 sqft. 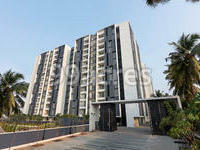 What is the 3 bedroom size in Appaswamy Platina? The area of 3BHK units in the project varies from 1584.0 sqft to 1796.0 sqft. What is total area of 4 bhk in Appaswamy Platina? 4 BHK units in the project are available in a size of 2144.0 sqft to 2152.0 sqft. How much is price of 3bhk in Appaswamy Platina? The price of 3 BHK units in the project is Rs. 14500000.